In some phases of information gathering. Pentester do require to scan some of the IP addresses that are most commonly used. As per ethical hacking researcher if International Institute of Cyber Security, scanning is the most important phase of penetration testing. The most common addresses can be of routers or search engines. These common scan are used to check normal activities that how target is using the internet. There are many popular tools like nmap (network mapper) which scans open ports and IP addresses. But today we are talking about Masscan. According to ethical hacking researcher of international institute of cyber security masscan do helps in scanning phases of pentesting/ VAPT. 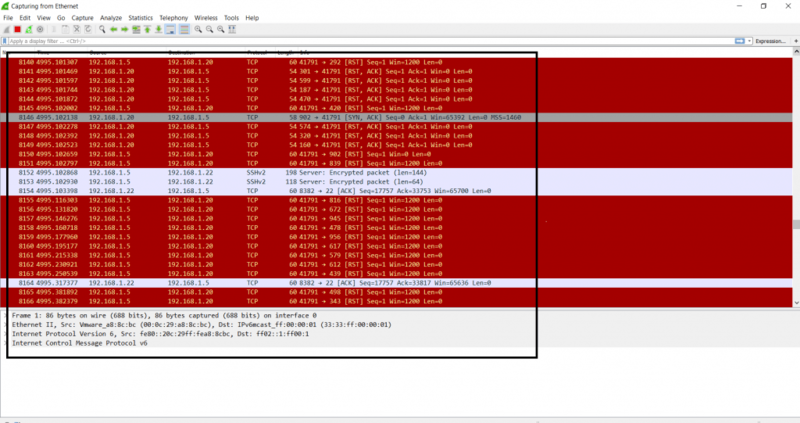 Masscan is a tool which scans internet in very short time. It uses asynchronous scanning similar as to nmap. This tool uses custom ports or IPs to scan target. Masscan is the fastest tool to scan for open ports. For showing you, we have tested on Kali Linux 2018.4 in vmware. We will be scanning local IP addresses, whole country IP’s and will show packet analysis in wireshark, to check how the Masscan is noisy on network. Here we have created an local network on 3 computers to show you how masscan scan packets. For creating local network. For assigning static IP addresses, go to Control Panel/ Network and Internet/ Network Connections. Now to make ping from Kali Linux you have to create virtual network in the vmware. Go to virtual network editor of vmware in windows. Select the network editor as shown below. Remember to select appropriate settings. 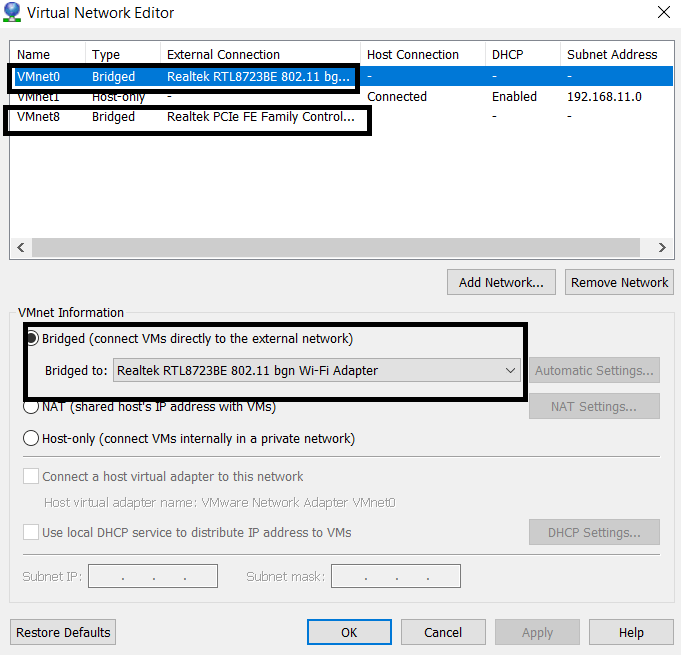 As shown above click on Vmnet0 and select network interface card. After assigning static IP addresses to target computers and Kali Linux install required library in Kali Linux before using masscan. Type sudo apt-get install git gcc make libpcap-dev in Kali Linux terminal. make is already the newest version (4.2.1-1.2). 28 upgraded, 2 newly installed, 0 to remove and 1094 not upgraded. Need to get 266 kB/37.1 MB of archives. After this operation, 2,753 kB of additional disk space will be used. Receiving objects: 100% (4101/4101), 2.56 MiB | 17.00 KiB/s, done. Resolving deltas: 100% (2778/2778), done. clang -g -ggdb    -Wall -O3 -c src/main-conf.c -o tmp/main-conf.o -DGIT=\"1.0.5-51-g6c15edc\"
Type masscan to view the help menu. Start Wireshark in Kali Linux or host machine and select netwok interface and see the packet analyzing. 192.168.1.20 is the target computer. For knowing mac address open cmd type getmac in target computers. -p is used to enter port. You can give an port range -p0-5000 or you can specify and ports of your choice. 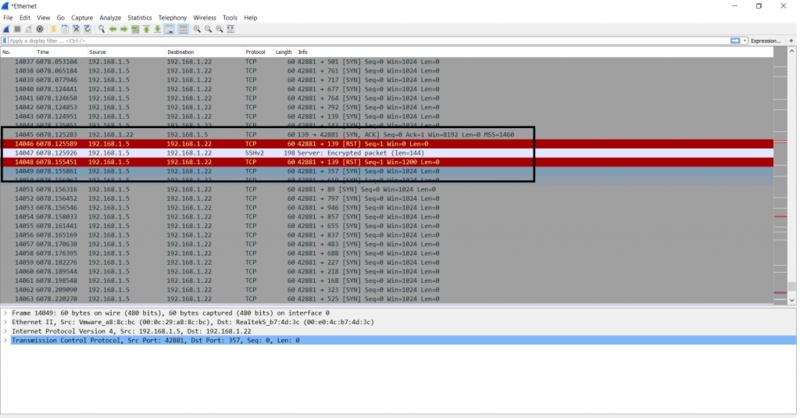 –router-mac is used to enter mac addresses of the target. After running above query, masscan shows list of open ports in the target operating system. If you start wireshark in target machine 192.168.1.20 you can see no. of packets retrieving from attacker 192.168.1.5 machine as shown below. The above screenshot shows TCP packet transfer of each packet. The above information can be used in other hacking activities. 192.168.1.22 is the target computer. -p is used to enter port. You can give an port range -p0-1000 or you can specify and ports of your choice. After running above query, masscan shows list of ports that are open in the target operating system. The above list can be used to make scenario for attacking further. If you start wireshark in target machine 192.168.1.22 you can see no. of packets retrieving from attacker 192.168.1.5 machine as shown below. The above screenshot shows TCP packet transfer of each packet. As it showing 3-Way handshaking. The above information can be used in other hacking activities. There are many sources where you can use tool for testing. Next we have used OWASP iso for scanning open ports. Owasp iso is most popular for testing your hacking skills. After downloading the owasp iso. Open iso in vmware. Simply start iso. After starting iso, you will see your IP address as shown below. Enter the IP 192.168.1.10 in web browser to check if iso working as shown below. As you can see, iso is working. -p is used to enter port ranges. 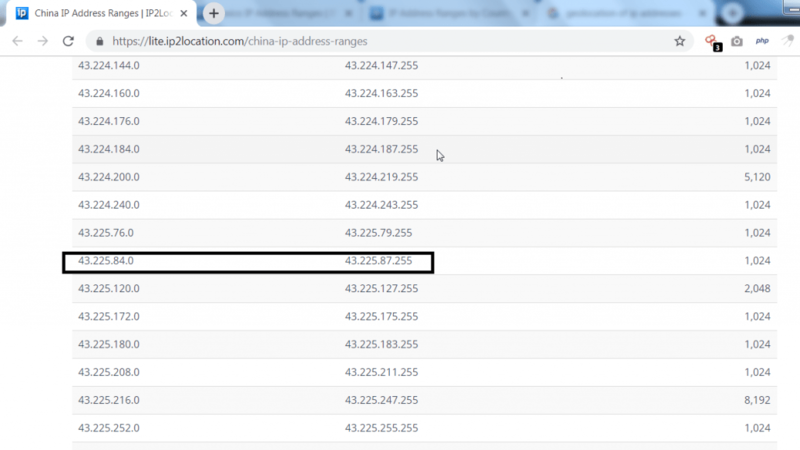 The above query shows open ports of the target IP address. The above information can be used in other hacking activities. As explained in the ethical hacking course of International Institute of Cyber Security, scanning any random IP with large no, of ports may slow the Kali Linux. Use only limited ports. Or give any short port range. Do not scan any public IP. Your Linux Distros may got hang. If you scan large no. of ports, your ISP may blocks you as large no. of request is send to public IP. Sending Large no. packets may slow the internet. -v is used to increase verbosity level. 17.50.48.0-17.50.55.255 is ip range used in scanning. -sS is used to make TCP syn scan always on. The above query shows initialization SYN scan, ranging port from 0-100. Thread started from default gateway with maxrate of packets. Here 100 packets are sending by default. You can also send large no. of packets to scan IP ranges. Meanwhile we have also try to send large no. of packets, after sending large of packets our internet got stuck. Network provider may block your IP address. While scanning with given IP ranges. Masscan has found port 80,53 opened in the IP ranges. Port 53 is used for zone transfers (used in dns enumeration) which can be bypassed by sending UDP packets with port equal to 53. 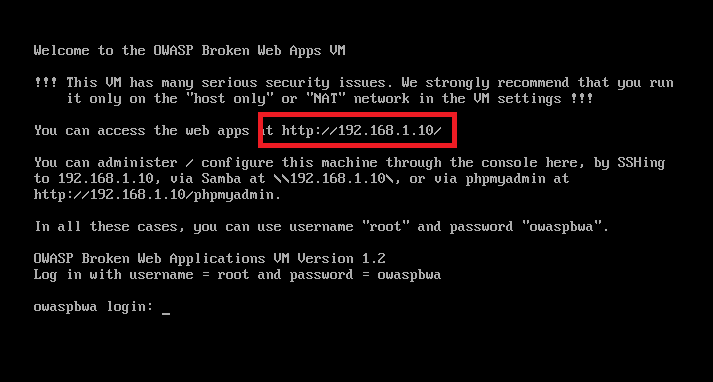 While scanning with nmap, it didn’t run with this IP address. Nmap doesn’t scan as we have to use NMAP with -Pn option, as ping might be blocked. So overall MASSCAN is relativelvy faster then NMAP any of the host because target IP address range blocking port scanner. But in masscan whole ip range was scanning because masscan has its own TCP/IP stack. While nmap is build on common networking protocols.